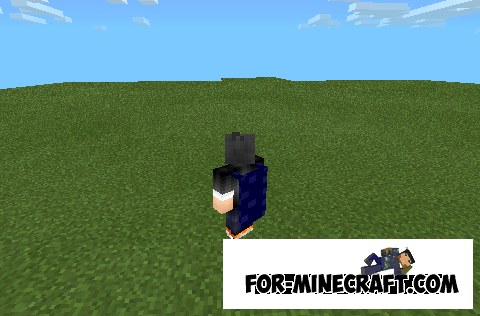 Raincoats mod for Minecraft PE 0.10.0! For-Minecraft.com » Mods for Minecraft Pocket Edition » Raincoats mod for Minecraft PE 0.10.0! Now with this mod you will be able to put on cloaks! This is by far one version of the mod, and there are 4 colors, but it looks really cool! The game with friends you will be able to stand out, to wear and take off cloaks simple commands.